Challenge yourself and your ability when training, and competition will seem easy in comparison. Most shooters are constantly striving to improve their skills and get to that next level. For those of us who have been shooting for quite a while and in high quantities, improvement can sometimes elude us, especially if we get burnt out. As a new shooter, there is a lot of room for improvement, but as an experienced shooter we sometimes struggle to gain that extra bit we need to get to the next level. As you get to the highest levels in a shooting discipline, you’ll find that the things you need to improve on are very refined, and the concepts that you have been practicing for a long time aren’t sufficient to get you to improve. The key to improving and getting to the next level is to keep your training fresh, creative, and challenging and doing your best to avoid burn-out. In biathlon, we made improvements in our physical fitness by training hard, breaking down our body, and then building it up stronger than before through recovery. Ultimately our recovery was the most important aspect of our training, because that is where we made improvements and saw the gains. Training was just essentially breaking down the body. If you haven’t made improvements doing what you’re doing then change your approach. If you have made improvements, keep doing what you're doing. Don’t fix what isn’t broken, but most definitely fix what is broken. Your training is what is going to help you to improve. It needs to be challenging in order for you to make that improvement. Take a long, hard look at your training and dryfire and figure out if it’s challenging enough for you. Or is it the same routine that you’ve been doing for the past 20 years? It probably worked to get you to where you are now, but will it work to get you to where you need to be? It’s hard sometimes to figure out what will make us improve. A general rule is that if it challenges us, it will help us to improve. Is your training challenging? Are you going to the range and practicing everything that you are good at, but not the things that you aren’t? In biathlon, we always made our training harder that what we might experience in a race. 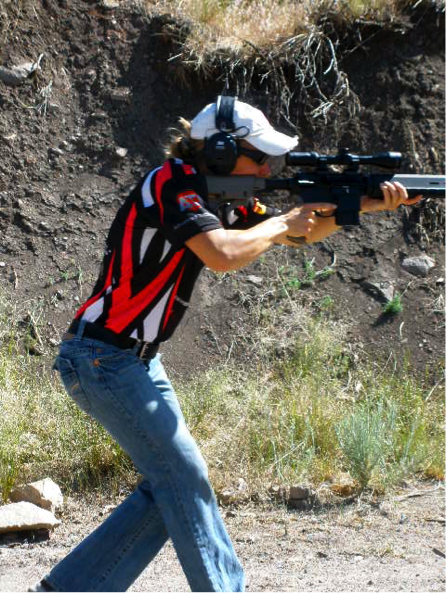 We came into the range at a much harder pace than we would in a race, making shooting extremely difficult, but after that kind of training coming into the range to shoot in a race situation seemed much easier. Train harder than you compete. Set up harder stages than you would see in a shooting event to challenge yourself. This is huge. Often times you need to think outside the box to improve you skills. Sometimes the last 5% improvement we need in shooting is not associated with a specific skill, but rather a mental ability. Maybe we can’t get over the nerves of shooting after the buzzer, or we choke on the third day of competition or we can’t stand people watching us while we shoot. Cater your training to your weaknesses and get outside of your comfort zone. 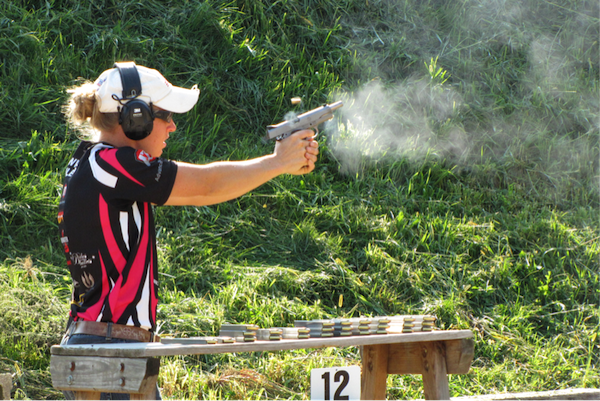 For me, it’s competing in other shooting events that I don’t normally do. It forces me to be more focused and remember my essential shooting skills, and most importantly it challenges me both physically and mentally. Invite people to watch you shoot, or set up an unconventional stage that will really push you physically and mentally and really challenge your skills, or develop some form of distractions while you train to practice your ability to remain focused. After 15 years of doing the same type of shooting training for biathlon I was on the edge of burning out and I wasn’t improving. I would head to the range, fully knowing what to expect and I wouldn’t get a lot out of it and I wasn’t really improving. But by making my shooting training creative and really challenging myself, I was able to make a much needed jump in my skills and ability. I had my sister or coach surprise me with different drills I hadn’t done before. We reduced the size of the targets, we challenged ourselves in many different ways, physically and mentally. This type of training kept things fresh and helped me to avoid burnout. 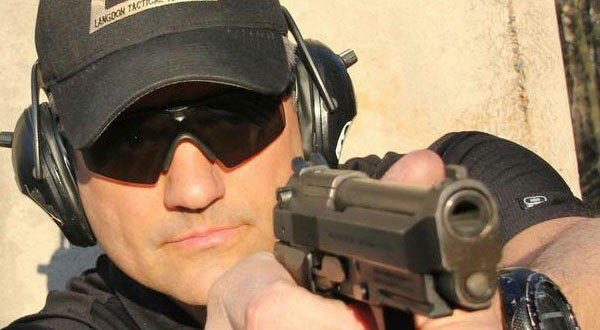 Try to avoid the same-old, same-old training at the range. Practice the things you aren’t so good at, challenge yourself, and be creative. You’ll be surprised at how much you’ll improve.